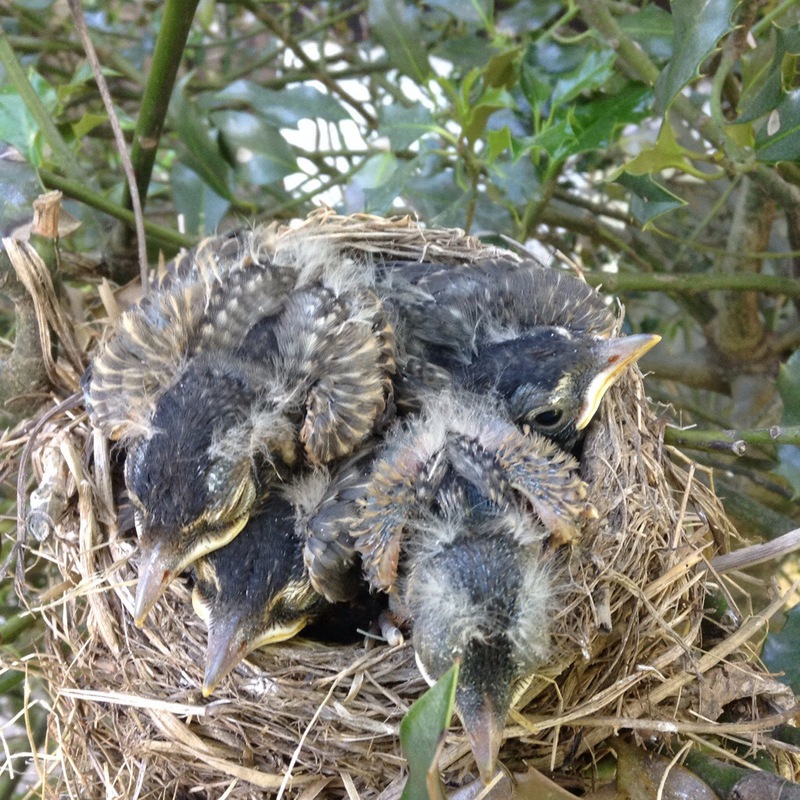 The baby birds now have their eyes open and are starting to overflow the nest. They do, indeed. My son was wondering today how the parents fit into the nest at all. Neat with the proto feathers :). It’s fascinating watching how much they change from day to day! Adorable! Thanks for posting the pics and keeping us udpated.